The Wild Africa Trek is a premium choice among the several special tours and experiences offered at Disney's Animal Kingdom, and while this 3-hour tour comes with a substantial price tag, reviews often comment that it's well worth the price. Highlights include crossing a long rope bridge in a beautiful part of Animal Kingdom only accessible to tour guests; viewing hippos from a special perch; a tour through the Kilimanjaro Safaris area with knowledgeable guides and spontaneous stops for animal-viewing; and a relaxing African-inspired meal at a viewing pavilion. Easier on the budget and also three hours long are the Backstage Safari ($72*), which shows guests some of the unique ways in which theme park staff take care of the many animal inhabitants in the Animal Kingdom, and Wild by Design ($60*), a tour for ages 14 and up that tells how Disney's Imagineers transformed the existing Florida wetlands into this beautiful park with its African and Asian habitats. Mickey's Not-So-Scary Halloween Party and Mickey's Very Merry Christmas Party are both separate-ticket events held on multiple nights in September/October and November/December respectively. These special evenings are a great way to enjoy the Magic Kingdom with a party atmosphere and special themed events, plus the added appeal of riding the most popular attractions with no ​lineups or crowds. Seas Aqua Tour, photo courtesy of Walt Disney World Resort. The Magic Kingdom also offers a number of special tours, usually in the price range of $35 to $70 per person: Disney's Family Magic Tour, for instance, takes guests on a 2-hour guided quest to save the Magic Kingdom theme park from a Disney villain; Disney's Keys to the Kingdom Tour showcases the history of Disney World, with backstage access. Kids age 3 and up might sign up for The Pirates League and become Buccaneers, or kids might simply get a haircut to remember at the Harmony Barbershop. There's also a Pirates and Pals Fireworks Voyage that has a sail on the Seven Seas Lagoon. Epcot too has special tours, some of them underwater in the 5.7-million-gallon saltwater tank inside The Seas with Nemo & Friends Pavilion. Scuba-certified guests (age 10 and up) can do a dive ($175); other guests age 8 and up can do a Seas Aqua Tour (see photo) and swim or go snorkeling with an air supply. Guests 16 and up can do a Segway tour of the World Showcase area of Epcot. And for nostalgia fans: the UnDISCOVERed Future World tour ($55, ages 16 and up) shows Walt's desire to improve the world which was the basis of the Epcot (Experimental Prototype Community of Tomorrow) theme park. 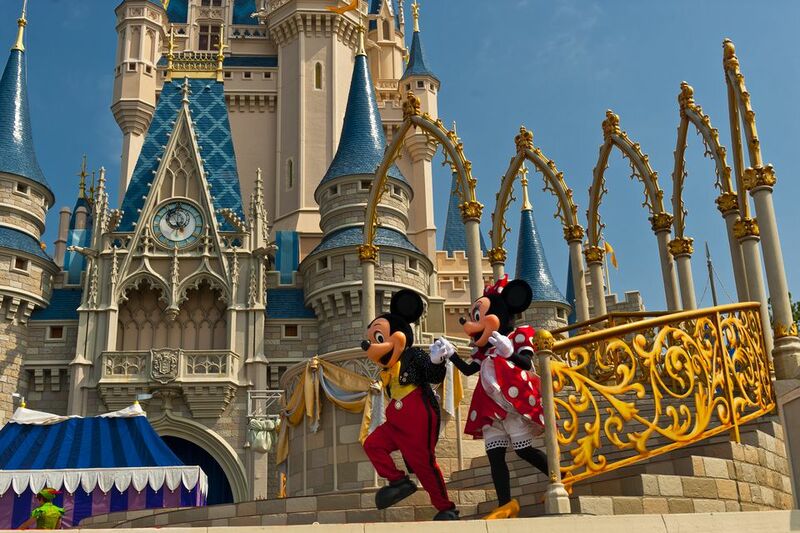 Photo courtesy of Walt Disney World. Backstage Magic is a costlier 7-hour tour ($229) for ages 16 and up that takes guests behind the scenes to see how Disney magic gets made in Epcot, the Magic Kingdom, and Disney's Hollywood Studios. A Yuletide Fantasy, for ages 16 and up, looks at how Disneyland transforms for the holiday season in each of the theme parks. All the parks offer the opportunity for guests to arrange a personalized custom tour (which will also bypass lineups.) Expect to pay top dollar for the VIP treatment, though! *Prices change. Always check destination ​websites for updates!